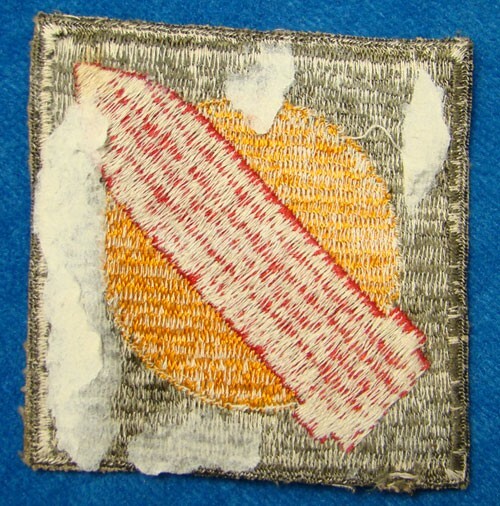 This is the square shoulder patch that was worn by a member of the 1st U.S. Coastal Artillery District that was designated the New England Frontier Defense Sector in March of 1942. The patch book states that they served from May 22nd 1941 until July 1st 1946. They guarded the Northern border of the coast down to the Nantucket Lighthouse. This one would date from the ww2 era because of the material it is made from and the construction. 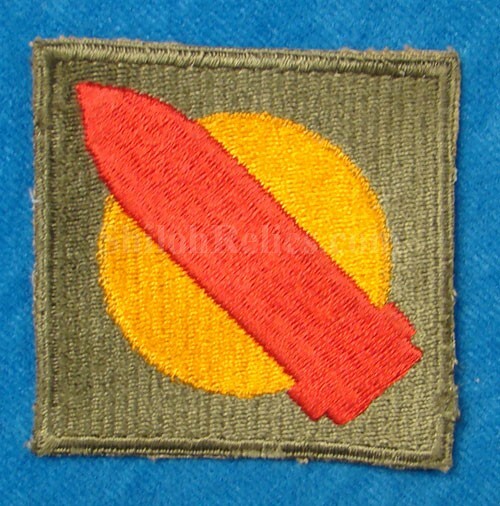 The patch itself is the square design with the single artillery shell in the center. This one as you can see was worn but displays well. it is a "no glow" under the black lite test. which means the material is correct for the WW2 and WW2 occupation forces era (1940-1950). It measures 2-3/4ths by 2-3/4ths inches in overall size.